we eat. we drink. we knit. 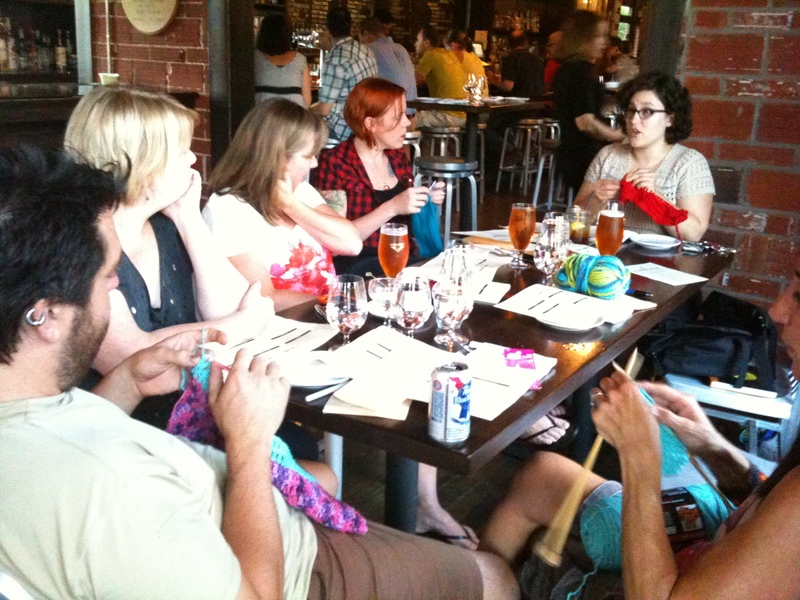 Our first Knitogether @Harper Station, June 30. Dining Out to support Art Along the Beltline. it’s official. our little collective of knitters and crocheters from the east side of ATL has been chosen as one of the 66 installations for Art Along the Beltline, in support of the Atlanta Beltline, a local transportation project connecting intown neighborhoods with light rail and live/work/play spaces. we are all public transportation enthusiasts and stoked to be contributing to raising colorful awareness for it. our first post must give a huge shout out to Magda Sayeg, her blog Knitta Please and the many knit graffiti and Yarn Bomb installations she has inspired and championed the world over (note: she has not yet knitted over the world. though i suspect she’s considered it). we are huge fans. and one of her hometown Austin, TX installations was up during SXSW this past March and provided the inspiration for our collective’s grant submission. and now … here we go! This entry was posted in Knitogether and tagged Art Along the Beltline, Atlanta Beltline, Beltline, Crochet, Harper Station, Knit, Knit Graffiti, Knitta Please, Magda Sayeg, Yarn Bomb by brigflood. Bookmark the permalink. I would love to join you next time. Go Beltline!! awesome. thanks for stopping by!